The Museum has a good library facility manned by a dedicated librarian. 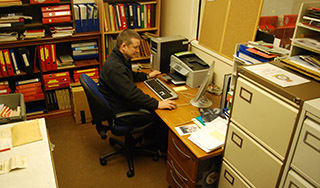 This facility can be accessed on request and the archives made available for research. A large number of books, technical manuals and photographs can be accessed. There is no charge for personnel research although commercial activities will attract a fee. The Museum does have limited access to scanning equipment that you may use and photography is allowed within the Museum. Donations for the upkeep of the archive section are always welcome. To enquire about accessing the Library or if you have any queries please get in touch with library@firemuseum.co.uk or post your query below.